The First World War was an unprecedented catastrophe that killed millions and set the continent of Europe on the path to further calamity two decades later. But it didn’t come out of nowhere. With the centennial of the outbreak of hostilities coming up in August, Erik Sass will be looking back at the lead-up to the war, when seemingly minor moments of friction accumulated until the situation was ready to explode. He'll be covering those events 100 years after they occurred. This is the 101st installment in the series. 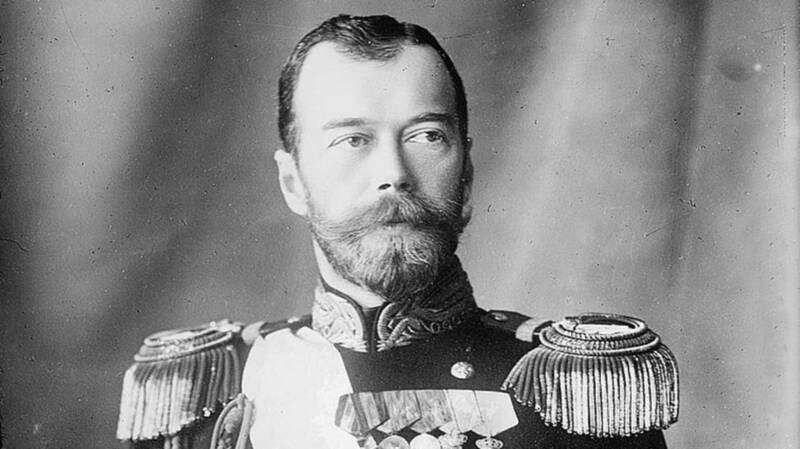 “Greet the King for me and tell him, ‘For Serbia we shall do everything.’” Although neither man could know it at the time, Tsar Nicholas II’s parting words to Serbian Prime Minister Nikola Pašić on February 2, 1914, with a message for Serbia’s King Peter, foreshadowed the massive sacrifice Russia was about to make on behalf of her Slavic cousins exactly six months later. Pašić and Serbia’s Crown Prince Alexander had come to St. Petersburg to discuss foreign policy, reaffirm Serbia’s loyalty to its great Slavic patron, and maybe even forge a new connection with the Russian royal family through marriage. Pašić, an elder statesman, did most of the talking on the Serbian side, and left a detailed account of their meetings with the tsar and his ministers. Ironically, Pašić’s main talking point was Serbia’s desire for peace in order to rebuild her strength after the exhausting Balkan Wars—but he also hinted that this period of peace wasn’t going to last forever. Indeed, Serbia needed to rearm as fast as possible to meet the looming threat from Bulgaria and Austria, now allied against her. Pašić recalled: “I led the conversation around to a discussion of Austria’s deliveries of arms to Bulgaria … the Tsar added that Germany too was supporting Bulgaria. I begged him that Russia should likewise aid us, and that out of her magazines she should deliver to us 120,000 rifles and munitions and some few cannon, particularly howitzers, if they could spare them … And here I took occasion to tell the Tsar how pleased we were that Russia had armed herself so thoroughly; it gave us a feeling of security...” The Tsar promised to help Serbia at some point, but couldn’t guarantee anything in the near term, since Russia’s war industries were fully occupied supplying its own military needs. Finally Pašić broached the subject of a royal marriage between Crown Prince Alexander and one of the Tsar’s daughters, which would cement the relationship between the two countries as well as strengthen the position of the Serbian monarch at home. There was plenty of precedent for such a connection: The tsar’s first cousin once removed (sometimes referred to as his uncle), the Grand Duke Nicholas, had married a Montenegrin princess, Anastasia Nikolaevna. However, the tsar, who apparently embraced Victorian romantic notions, merely smiled and said he let his children choose their spouses for themselves. All this talk of Slavic unity and military preparations, along with the tsar’s dramatic parting words, might seem to suggest that Russia and Serbia were anticipating war and Russia, by promising unconditional support, was practically encouraging Serbia to precipitate the conflict. But as usual the truth was a bit more complicated. Neither Pašić nor the Tsar wanted war, at least not in the near future; the problem was they weren’t fully in control. For one thing, neither government could actually present a coherent foreign policy, as both had to contend with rival factions at home. In the case of Serbia, Pašić—the head of a moderate civilian government—was facing off with the military’s ultranationalist spymaster, Dragutin Dimitrijević (codename Apis), who was plotting a coup as well as organizing the conspiracy to assassinate Franz Ferdinand. Where Pašić wanted to conciliate Austria-Hungary in the near term, Dimitrijević called for ceaseless agitation and subversion among the empire’s South Slavs; it’s unlikely that Pašić had any knowledge of the conspiracy at this point. Russia was similarly divided between moderates and radicals: while the tsar himself was peacefully inclined, he and his ministers were under growing pressure from “pan-Slav” ideologues who accused them of selling out their Slavic cousins in Serbia during the Balkan Wars. The pan-Slavs were a powerful force shaping Russian public opinion, and had to be heeded, resulting in an inconsistent foreign policy. Thus Foreign Minister Sergei Sazonov, a moderate, was forced to appoint a radical pan-Slav, Baron Nicholas Hartwig, as Russian ambassador to Serbia—and while Sazonov frequently expressed exasperation with the Serbs, vowing to leave them to fend for themselves the next time they got into a jam, Hartwig consistently sent the opposite message, egging them on in their conflict with Austria-Hungary; in December 1913 he told his hosts in Belgrade that Serbia would be Russia’s “instrument” to “destroy” Austria-Hungary. Just six months later the radicals would thrust Serbia and Russia into a confrontation with Austria-Hungary much sooner than the moderates could have foreseen—and then Russia would have no choice but to fulfill the tsar’s parting promise to the Serbs.